AMP committee member and long-term friend and colleague of many of us ARTHUR SAXBY died on Friday, May 11 . He was 76. He was diagnosed with Parkinson’s in 2006, and his wife Miriam, daughters Helen and Louise and Miriam’s son David were at his side when he succumbed, after a long and brave battle with the disease, at the Princess Royal Hospital. Donations if wished: cheques payable to Parkinsons UK (please write Arthur Saxby on the back of the cheque) and send to: J & R Killick Ltd, Funeral Directors, 112 High Street, West Wickham, BR4 0ND. AMP Secretary Gerald Mowbray said: “We all had a high regard and great respect for Arthur in his many years as an active AMP committee member, and later as one of our first Honorary Members when he was no longer able to attend meetings. “I worked with Arthur during the Maxwell era when new technology was being introduced, and his industrial relations experience effected many successful outcomes. I found him very helpful, and developed a good working relationship with him during those somewhat challenging times – and I will remember him for his professional and constructive approach. Arthur had a 36-year career with Mirror Group in all its forms, starting in 1964. He joined the production department as a junior management trainee. A huge benefit was time off to study for business management qualifications which were the bedrock of his career. He subsequently became head of productivity services. 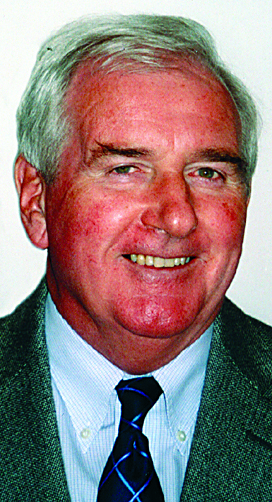 During the Maxwell years, 1985–1991, Arthur was deeply involved in industrial relations and the so-called survival plan. His dealings with Chapels and Branches were always honest and respectful and these relationships endured. Finally, following the amalgamation with Trinity, Arthur was given full responsibility for employee relations at all Mirror Colour Print locations, a job he did until he left the company in 2000.